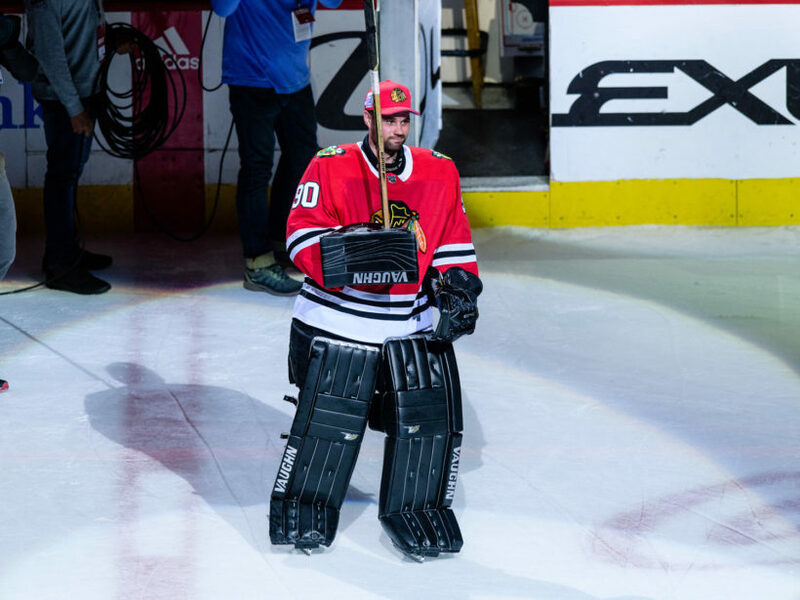 (by Laurel Wamsley, NPR, March 30, 2018) – Scott Foster is a 36-year-old accountant who lives in Oak Park, Ill. More than a decade ago, he was goalie on Western Michigan’s hockey team. These days he plays in a rec league at a rink called Johnny’s Icehouse. Just before faceoff against the Winnipeg Jets, the Blackhawks tweeted that they had signed Foster to an amateur tryout contract to be the team’s emergency backup goaltender: EBUG, for short. The team pointed to his .875 save percentage at Western Michigan University and his earlier career for the Petrolia Jets of the Western Ontario Hockey League. That left just one man to preserve the Hawks’ lead. “I don’t think I heard anything other than, ‘Put your helmet on,’ ” Foster said later. 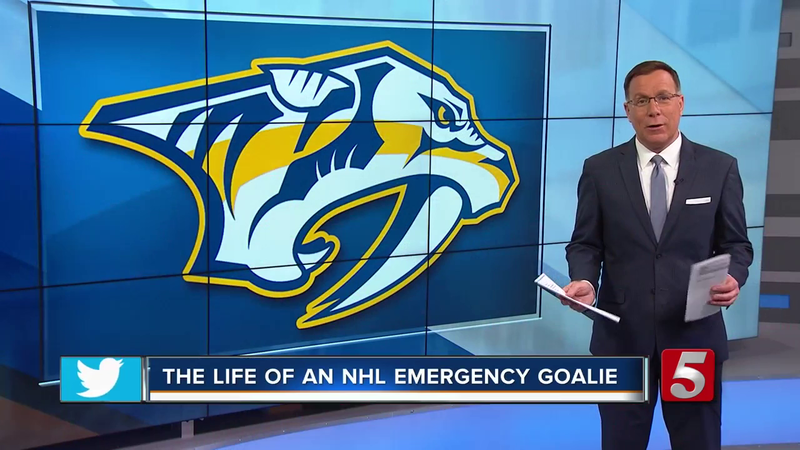 And he stopped one shot after another — seven times blocking the Jets’ attempts to score. The fans in the United Center began chanting his name. With Foster’s able handling in the net, the Hawks sealed the win, 6-2. “I think I’m just about hitting my prime,” he joked. For the moment, he has incredible (if minimal) stats: his save percentage is 1.000. That’s even higher than the Hawks’ Corey Crawford, who has twice won the NHL’s goalkeeping trophy. “You think there’d be a lot of pressure,” Foster said. “But, really, tomorrow I’m going to wake up, I’m going to button up my shirt, and I’m going to go back to my day job. So what pressure is there for me? “You just keep grinding away in men’s league, and eventually you’ll get your shot,” he deadpanned. His men’s league, by the way, was very proud. (by Ben Hooper, UPI news, Feb. 13, 2018) — A Texas trash collector was caught on an amused homeowner’s security camera doing a backflip on a discarded mattress. A video posted to a Rowlett community Facebook page shows Demarian Henderson, a collector for FCC Trash and Recycling, loading a recycling truck outside the home where the security camera was rolling. Henderson bounces on a discarded mattress at the side of the road for a few seconds before getting back to work — and then back to the mattress. “I dump the can, then I wanted to go back to the mattress because it looked fun! So I got my bounce. 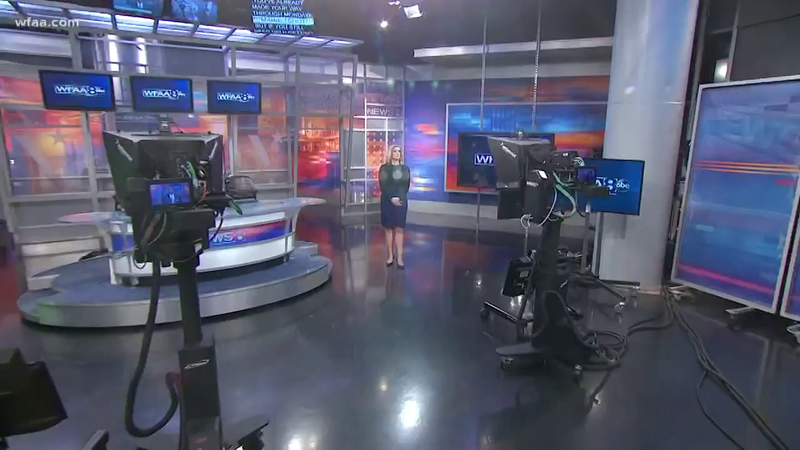 Then I hit my backflip!” Henderson told WFAA-TV. Henderson said locals have started recognizing him from the video. “A lady came up, she was like ‘Are you the one who did the back flip?’ I’m like ‘Yeah that’s me,'” Henderson said. (By Ashley Welch, CBS News, April 9, 2018) – If you’re thinking of entering a hot chili pepper eating contest, you might want to think twice, doctors caution. 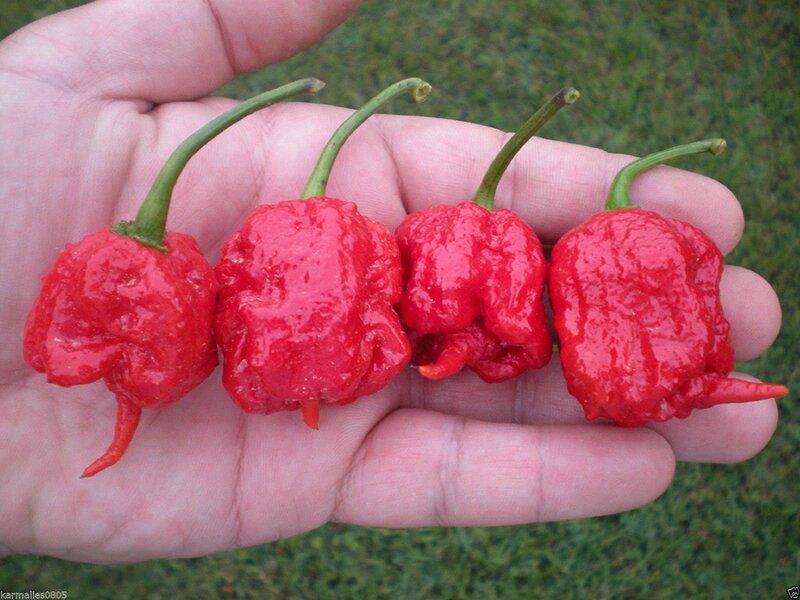 Their warning comes after treating a young man in the hospital who suffered excruciatingly painful headaches after eating a “Carolina Reaper,” long considered the world’s hottest chili pepper. In a case study published in the journal BMJ Case Reports, doctors describe a 34-year-old man who came to the emergency room after the onset of a thunderclap headache — a severe and sudden pain in the head. The pain began with dry heaves immediately after eating the chili pepper. Then a CT scan showed several of the man’s arteries in his brain had constricted, which led to a diagnosis of reversible cerebral vasoconstriction syndrome, or RCVS. This condition is characterized by a temporary narrowing of the arteries accompanied by a thunderclap headache. It doesn’t always have a specific cause, but it can be brought on by certain prescription medications or after taking illegal drugs. “Given the development of symptoms immediately after exposure to a known vasoactive substance [substances that cause constriction of blood vessels], it is plausible that our patient had RCVS secondary to the Carolina Reaper,” the authors wrote. The patient’s symptoms cleared up on their own and a follow-up scan five weeks later showed the affected arteries had returned to their normal width. The Carolina Reaper scores a sky-high 1.6 million on the Scoville heat scale, which measures the concentration of capsaicin in peppers. It held the Guinness Book of World Records title for world’s hottest pepper until a challenger called the Dragon’s Breath came along last year with a 2.48 million on the Scoville scale. (by Brandon Hannahs, Times Recorder, May 15, 2018) ZANESVILLE, OHIO – Two aspects of Ben Bender’s life – faith and golf – came together for his final round on the course. 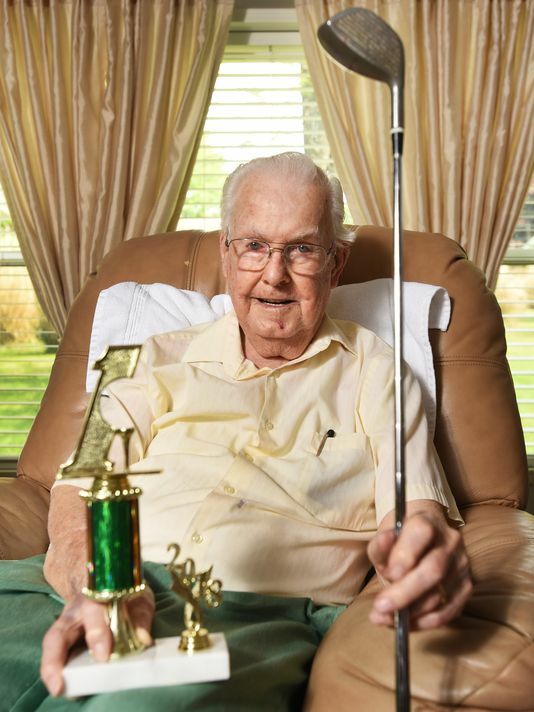 The 93-year-old, who has hip bursitis, used his 5-wood to make [his first-ever] hole-in-one on the third hole last month at Green Valley. Ben Bender, 98, capped his 66-year golf career with his first hone-in-one at Green Valley Golf Club last month. Bender, who was born in Zanesville, Ohio, only played a few more holes before walking into the clubhouse and telling Green Valley manager Steve Galloway that he was done. Hearl Cubbison witnessed Bender’s shot. Golf has been a part of Ben’s life since he was 28. He said his first round was with some co-workers who played Jaycees and asked him to join. He bought Wilson clubs and a bag for $50 from the manager of a shoeshine shop and took to the course. “The second hole I ever played, I hit my drive towards a fence,” Bender recalled. “When I got there, I was ready to put my ball on a tee when another guy said you can’t do that. You can only tee it up when you drive it. I hit that ball and hopped out of the grass like a rabbit. “That’s how I learned to play the game,” he added. “We talked to each other and worked together. I enjoyed the game until the end.” Golf gave him plenty, and it was fitting to cap his career with the rarest feat.